Fake news is a growing force shaping politics, economics, the media and society at large. In what is now being evermore frequently referred to as ‘the post-truth era’, it’s become evident that no matter what the likes of Google and Facebook may commit to doing to curb the phenomenon, fake news is here to stay. Communications professionals, especially PR practitioners, have long been in the business of protecting brand integrity and corporate reputation in the face of crises, untruths, rumour and innuendo. To set things straight, they’ve had at their disposal, facts they can back up, as well as their trusty contacts across recognisable media outlets who have committed themselves to truth-telling. 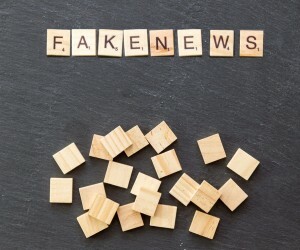 But fake news, spreading like wildfire across the vastness of the social media landscape, has already taken us far into the dark territory of lies, propaganda and confirmation bias - whether as ‘click bait’ for an individual’s monetary gain, or even to influence the result of a country’s election. Today, the trustworthiness of the media establishment is under fire, and the first-mover advantage news companies once enjoyed has been usurped by the advent of mobile technology and social media. It might be called ‘sharing’, ‘posting’ or ‘retweeting’ but the decentralisation of publishing power these social interactions can facilitate have in effect armed billions of people with the ability to shape public opinion. The vast majority of social media users don’t yet understand or appreciate the tacit responsibility such power brings with it, never mind the ethical implications behind their clicks. “Nowadays, PR people and marketers need to evolve their knowledge, resources, skills and strategies to do their job of maintaining brand and corporate integrity amid the rising tide of fake news.” This is the view of David Ortlepp, Managing Director of Meltwater, Cape Town - a global media intelligence provider harnessing real-time insights from social and editorial media for clients across a wide range of industries. Be prepared – Like any brand related contingency plan, you need to have a strategy in place to deal with fake news. 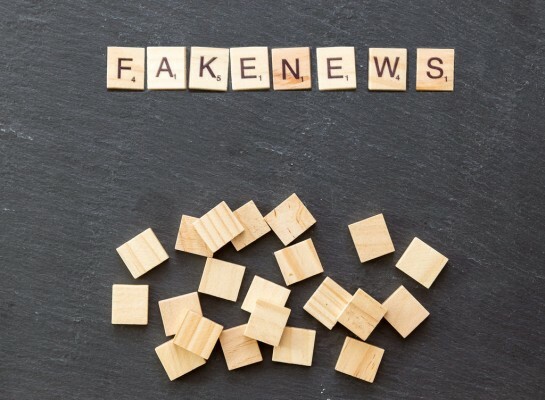 Ensure your communications or marketing department has taken into account the eventuality of fake news in their crisis management preparation (and also have the executive buy-in to make it work). Have your finger on the pulse – If you’re looking to catch fake news before it gains critical momentum, you’ll have to draw on tools that allow you monitor and vet social media for brand mentions. More advanced tools can alert you of patterns and trends that require your immediate attention. Get C-suite involved – Today, personalisation of messaging is paramount. When it comes to fighting fake news that’s affected your brand, an authentic and concise Tweet from a CEO can often have more of an impact that a lofty press release that fails to connect with people. Get connected – Cultivate relationships with established journalists and bloggers who are able to tell your side of the story come crisis time. Either leverage an agency with existing media relationships, or draw on contact database software to find and connect with relevant media professionals directly.